Eduardo Marmolejo, an 18-year-old student at Memphis Junior Academy in East Memphis, who pled guilty to second-degree murder in the 2011 stabbing death of principal Suzette York. NASHVILLE, Tenn - A Memphis teenager on Tuesday apologized and pleaded guilty to second-degree murder in the stabbing death of his principal in 2011. "I apologize for my bad behavior," said Eduardo Marmolejo, 18, after accepting a plea that will send him to prison for 35 years without the possibility of parole. "It was wrong what I did," Marmolejo during the hearing, which was broadcast by local media. After police found the body of Suzette York, 49, on August 10, 2011, in a classroom at Memphis Junior Academy, they arrested Marmolejo at the school. He told police he did not like York, who was also his teacher. Investigators said Marmolejo spent months planning the attack on York. York suffered multiple stab wounds in the throat, face and neck and was found in a pool of blood in the classroom, police said. 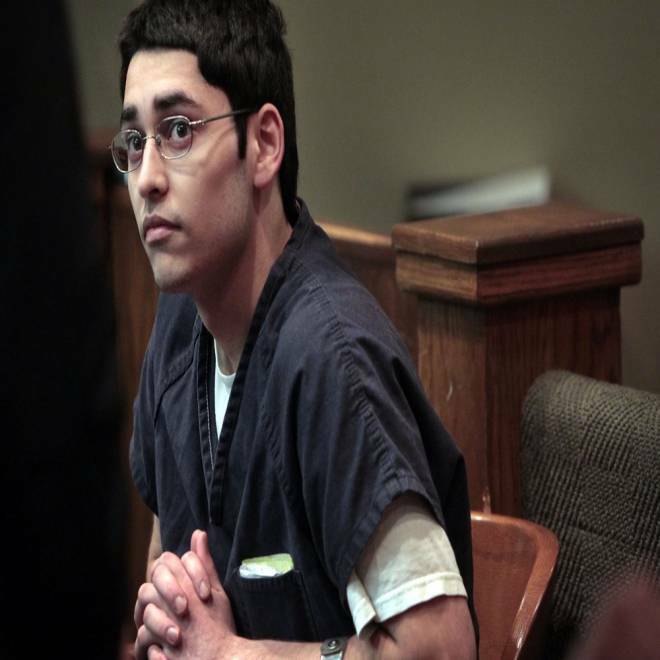 Marmolejo was 16 at the time of the killing, but the court decided to try him as an adult. "I should not have done it, because it not only hurt Ms. York, but her family and her friends, her husband, and it not only hurt me, but my family and friends and people who take their kids to school," he said, reading from a prepared statement. "There is already too much violence in the world, especially in the schools. Instead of thinking and trying to help make things better, I made it worse," he continued. The statement went on to say he was a changed person and that he had repented "and given my life to Jesus." Defense attorney Leslie Ballin told Memphis WMC-TV "It's just a tragedy from A to Z... You look for explanations for actions in these cases. There are no rational explanations." Prosecutor Reggie Henderson told the TV station that justice was served. "He did murder Mrs. York in a horrific way," he said. "He's paying the penalty for that now based on a negotiated plea."